Suffolk County police are investigating a crash that seriously injured a pedestrian in Lake Grove on Monday night. 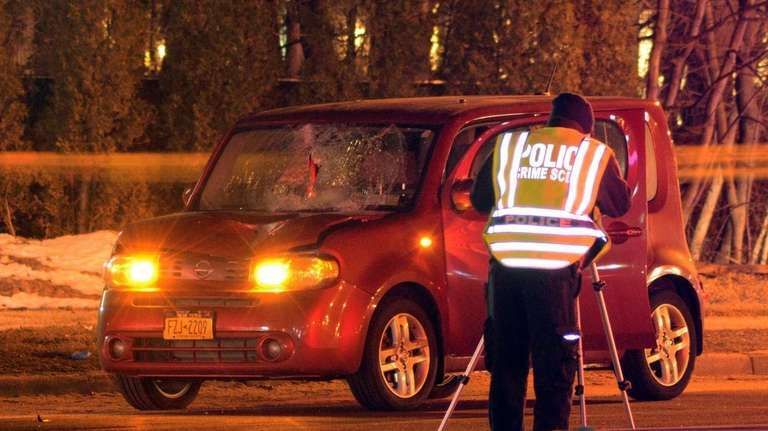 Police said Harold Edelman, 70, of Medford, was struck by a 2012 Nissan Cube as he was walking on Route 347, Nesconset Highway, near Hallock Road at about 11:15 p.m.
Edelman, who was walking south across the highway, was hit by the car, which was heading east, police said. He had "serious head injuries and was transported by ambulance to Stony Brook University Hospital where he is listed in critical condition," according to a news release. The driver, Julie Chung, 38, of Oakland Gardens, Queens, was not injured. Her car was impounded for a safety check. Chung stayed at the scene, a police spokeswoman said Tuesday, and no charges are anticipated. Anyone with information can call the Fourth Squad at 631-854-8452. All information will be kept confidential.